Gopal Thapa was born on a starry moonlit night 36 years ago in the pretty village of Phulkharka [Dhading district] which nestles in the laps of the towering Ganesh Himal and the nearby mighty Manaslu peak. Dhading is known for its scenic landscapes and thriving agriculture. Born into a large family of four brothers, two sisters and parents, Gopal’s mother and father are farmers by profession who tilled the land to rear and educate their children. Gopal could have pursued further education after completing high school, but soon discovered the drums of destiny in life were beating on the mountains; and began working as a freelance porter at an early age in the same year he completed his high school; he soon learned the hard way about the mountains where he grew up as a child. 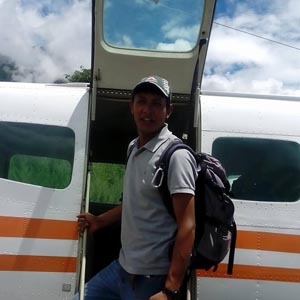 Gopal Thapa attended a Trekking Guide Training course and was soon elevated to a Government Licensed Guide [a license considered very important in this part of the world] in 2008. Having become a full blown government recognized guide, Mr. Thapa soon learned how much the mountains teach us about life, and aimed for the high Himalayan skylines he watched as a child. 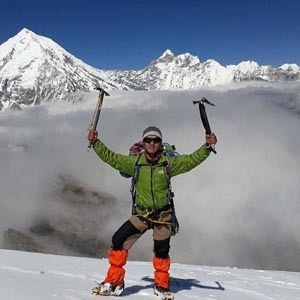 Gopal soon began climbing Nepal’s famous trekking peaks – this included Island peak, Mera peak, Lobuche East/West, Pisang peak, Thorung peak,Chulu West and Yala peak. 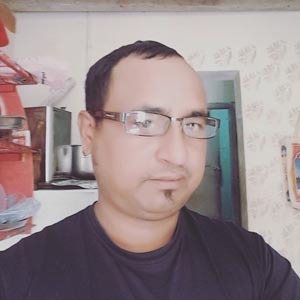 The road to success in this part of the world is always a thorny one and Mr. Thapa knew his first arduous journey on the complex trails of life began in the year 2001, but this was only the beginning to a long and winding road to the pinnacle of success. 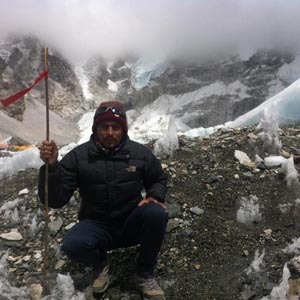 With his successful accomplishment of climbing peaks, Gopal knew the next best thing to do was to obtain a mountain climbing certification and this was achieved in 2011 with a prestigious mountain climbing course conducted by the Nepal Mountaineering Association [NMA]. Mr. Thapa, Armed with well earned Government of Nepal Certificates for Trekking and Climbing, knew that the time had finally come to define his own destiny. Gopal knew if he truly loved his country and its extraordinary natural beauty, he would have to operate an unrivalled range of adventures throughout the Himalaya in Nepal and across the borders into India, Tibet and Bhutan; and to do this, Mr. Thapa would have to lead from the front. 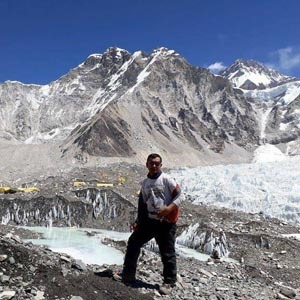 This ultimately paved the way for Gopal to establish his own company ‘Leaf Holiday Treks & Expedition P. Ltd’ in the year 2014 –and with this epic achievement, Mr. Thapa’s journey through the trials and trails of life came around full circle. Mr. Gopal Thapa is known among his clients for his large physical appearance which they lovingly say is as large as the mountains he climbs, with a friendly and kind heart as big as an elephant. 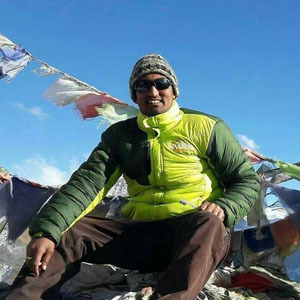 Gopal is also known for personally saving the lives of several of his guests and friends while on risky adventurous journeys above the tree-lines. 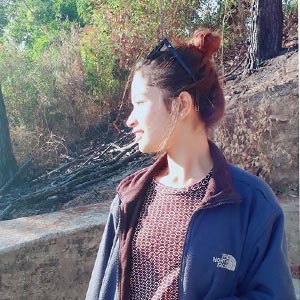 She has been associated with Leaf Holidays Treks and Expeditions since 2015 as a Manager. She loves in corresponding with different people all over the world by providing trip evidence. She has interest in writing, reading, traveling, interrelating with people. She has traveled different places on work purpose. 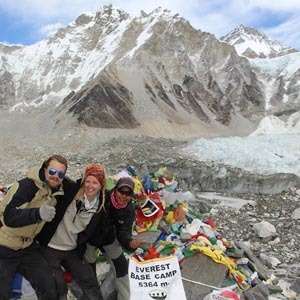 She is honored in being related with Leaf Holidays Treks and Expeditions as receiving the chance to promote our stunning Himalayan country to all around the world. She believes that “The actual journey of discovery contains not in seeking new landscapes, but in having new eyes”. 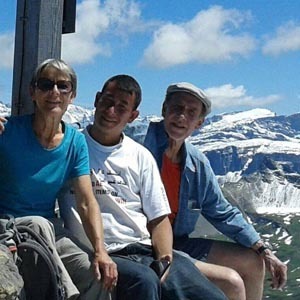 He is a passionate outworker trekking as well as mountaineering guide .He have a very good knowledge of mountains. He started in this field being a porter to a spirited trekking as well as mountaineering leader. He has also cavernous working knowledge in the field of Kailash too. Many guests are attracted with his work in this field so he has been attracting lots of neighbor tourists in Nepal. He has been assisting this field so willingly and cooperatively as the visitors are very happy and satisfied with his work. He is still very active and working on this field very dynamically and also he is a very Eco-friendly. He is a passionate outworker trekking guide .He is in this field from 1990. He started in this field being a porter to a spirited trekking leader. He has also cavernous working knowledge in the field of Kailash too. Many guests are attracted with his work in this field so he has been attracting lots of neighbor tourists in Nepal. He has been assisting this field so willingly and cooperatively as the visitors are very happy and satisfied with his work. He is very friendly with the visitors as he has a many years’ experience in this field. He is an obsessive outworker trekking and mountaineering guide .He is in this field from 1995. He started in this field being a porter to a determined trekking leader. 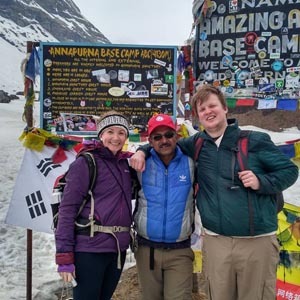 He has also resounding working knowledge in the field of Kailash too as he is the Team Leader of Mount kailash trip. Many guests are attracted with his work in this field so he has been attracting lots of neighbor tourists in Nepal. He has been assisting this field so willingly and cooperatively as the visitors are very happy and satisfied with his work. He is very friendly with the visitors as he has a many years’ experience in this field. He is a very supporting and hardworking cook .He is in this field from 1995. He started in this field being a porter to a determined cook. He has also resounding working knowledge in the field of Kailash too as he is a very experience and good cook. 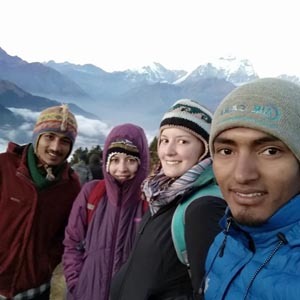 Many guests are attracted with his work and also by his cooking too in this field so he has been attracting lots of neighbor tourists in Nepal. He has been assisting this field so willingly and cooperatively as the visitors are very happy and satisfied with his work. He is very friendly with the visitors as he has a many years’ experience in this field. He is a passionate free-lancer trekking guide .He is in this field from 1996. He started in this field being a porter to a spirited trekking leader. He has also sonorous working knowledge in the field of Kailash and also a team leader of kailash. Many guests are attracted with his work in this field so he has been attracting lots of neighbor tourists in Nepal. He has been assisting this field so willingly and cooperatively as the visitors are very happy and satisfied with his work. He is very sociable with the visitors as he has a many years’ experience in this field. He is an obsessive free-lancer trekking guide .He is in this field and associated with Leaf Holiday’s Treks and Expeditions from 1992. He started in this field being a porter to a spirited trekking leader. He has also sonorous working knowledge in the field of Kailash too. Many guests are attracted with his work in this field so he has been attracting lots of neighbor tourists in Nepal. He has been assisting this field so willingly and cooperatively as the visitors are very happy and satisfied with his work. He is very sociable with the visitors as he has a many years’ experience in this field. He is a fixated free-lancer trekking as well as climbing guide .He is in this field and associated with Leaf Holiday’s Treks and Expeditions from 1997.He have climbed Everest, Dhaulagiri, Manaslu and many mountains too. He started in this field being a porter to a spirited Climbing Guide. Many guests are attracted with his work in this field so he has been attracting lots of neighbor tourists in Nepal. He has been assisting this field so willingly and cooperatively as the visitors are very happy and satisfied with his work. He is very sociable with the visitors as he has a many years’ experience in this field. He is a obsessed free-lancer trekking as well as climbing guide .He is in this field and associated with Leaf Holiday’s Treks and Expeditions from 1997. He started in this field being a porter to a spirited Climbing Guide. Many guests are attracted with his work in this field so he has been attracting lots of neighbor tourists in Nepal. He has been assisting this field so willingly and cooperatively as the visitors are very happy and satisfied with his work. He is very sociable with the visitors as he has a many years’ experience in this field and guided many visitors. He is a fervent outworker trekking as well as mountaineering guide .He have a very good knowledge of mountains. He started in this field being a porter to a spirited trekking as well as mountaineering leader. He has also resonant working knowledge in the field of Kailash too. Many guests are attracted with his work in this field so he has been attracting lots of neighbor tourists in Nepal. He has been assisting this field so willingly and cooperatively as the visitors are very happy and satisfied with his work. He is still very active and working on this field very dynamically and also he is a very Eco-friendly. He is an enthusiastic outworker trekking as well as mountaineering guide. Having a very good knowledge of mountains. He started in this field being a porter to a spirited trekking as well as mountaineering leader. He has also resonant working knowledge in the field of Kailash too. Many guests are attracted with his work in this field so he has been attracting lots of neighbor tourists in Nepal. He has been assisting this field so willingly and cooperatively as the visitors are very happy and satisfied with his work. He is still very active and working on this field very dynamically and also he is a very Eco-friendly.